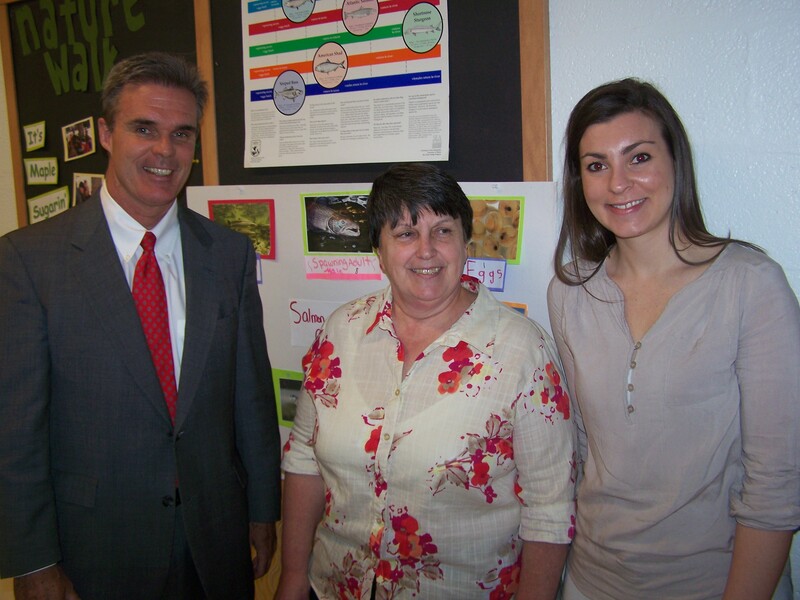 DA Early stands with nutrition presenters Jill Lucius and Jillary Standifrod, both of Sedexo Food & Facilities Management. 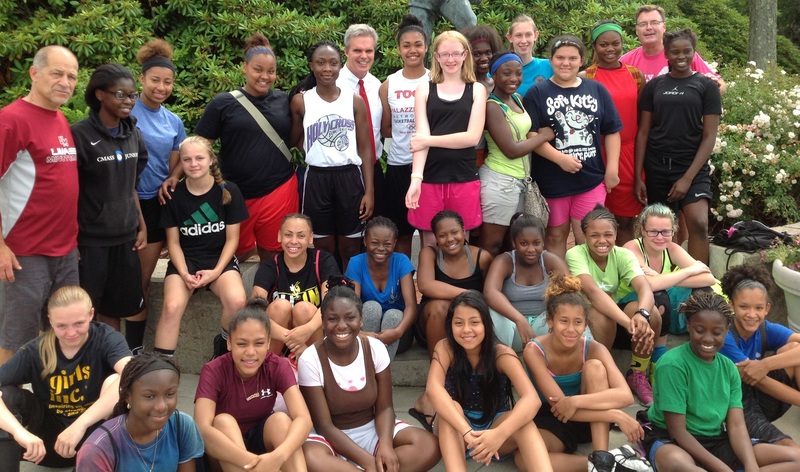 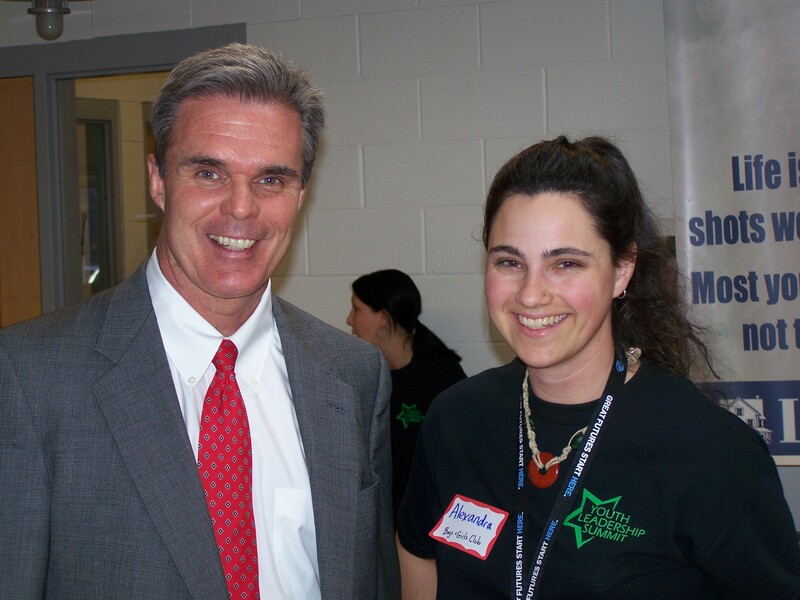 DA Early with Alexandra Luck, a staff member of the Boys & Girls Club of Fitchburg and Leominster. 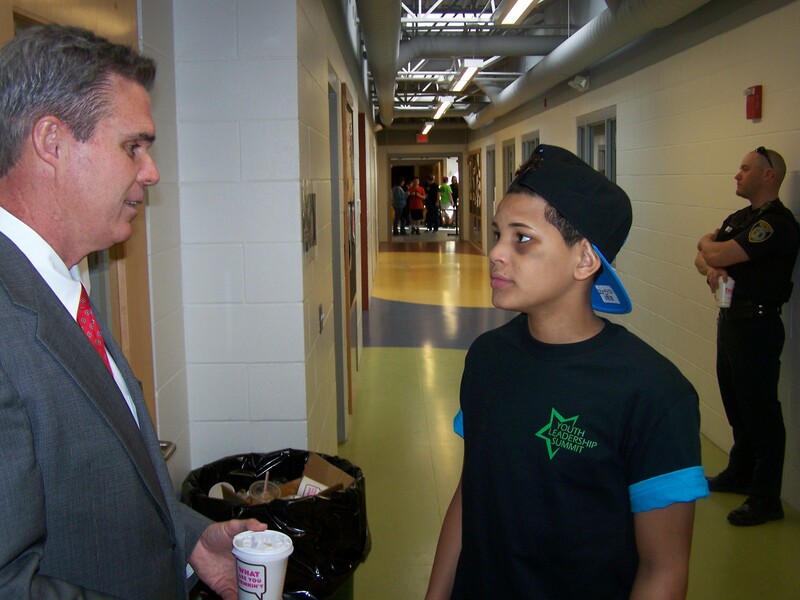 DA Early talks with Robert Aguero, a MOC peer educator and LUK Fitchburg community action team member. 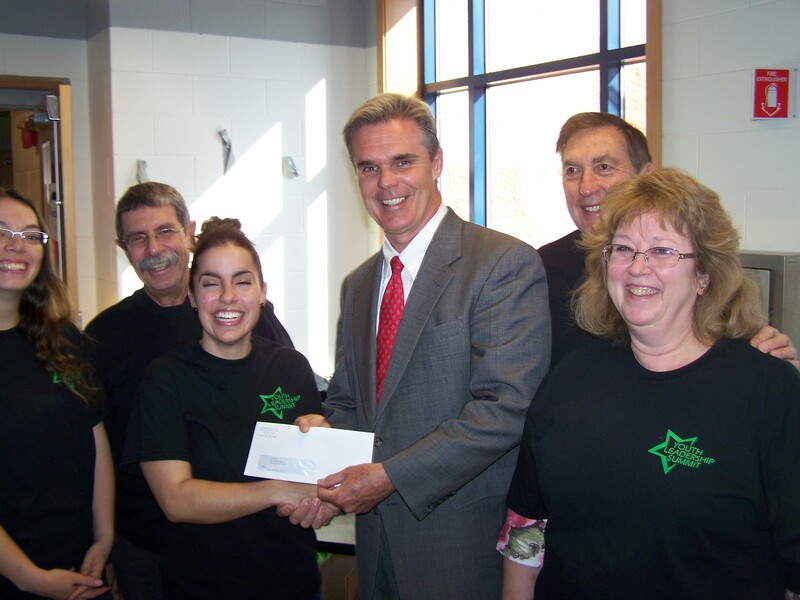 DA Early presents a check to LUK staff members.